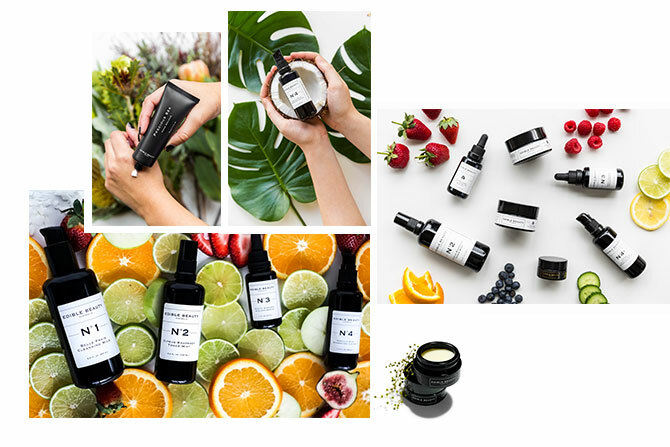 Anna Mitsios is a world of knowledge when it comes to nutrition and beauty, we were lucky enough to ask her a few questions about her incredible skin care range 'Edible Beauty' and what is her ultimate beauty philosophy. 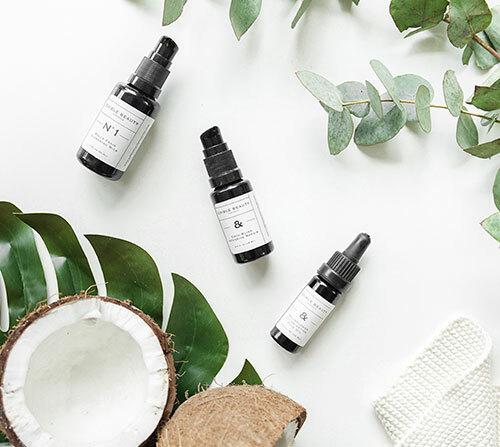 Have you always been interested in Naturopathy and Nutrition - what prompted you to create your luxurious vegan skincare range? My interest in nutrition had been sparked (as it so often is) by my own health journey. I was diagnosed as a Type 1 diabetic at the age of 18 and as soon as I was diagnosed I began to intensely research herbs, nutrition and lifestyle measures as a way to manage my blood sugar levels. I became intrigued by the ability to manage my auto-immune condition by focusing intently on what was going both on and in my body as well as what lifestyle practices. In 2013 I made a clean break from my career in finance and immersed myself in my key passion which was nutrition and naturopathy. The Edible Beauty range was created whilst I was working at a natural fertility clinic. I was recommending that in addition to changes to their food and lifestyle routines, my patients make changes to their personal care products. 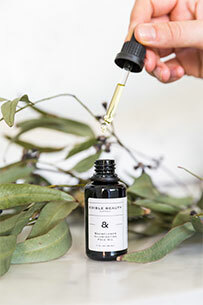 I was shocked to find that there were very few options available for skincare products that were "edible" and that were luxurious and therapeutic. toxins seeking a place to escape (this can often be our skin!). 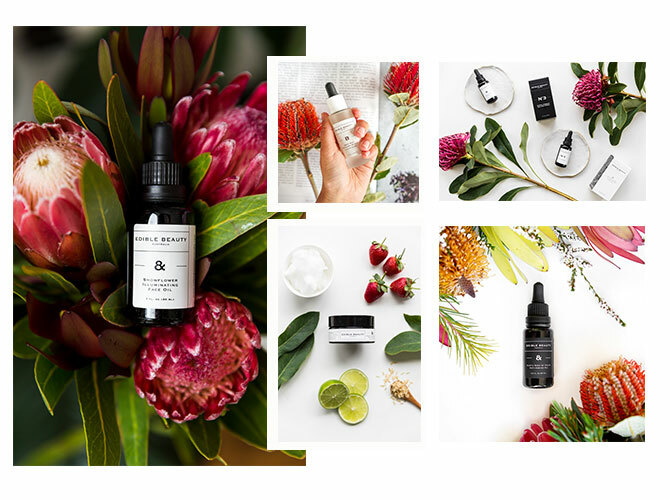 There’s an abundance of unique Australian wildcrafted plants within your range, can you tell us some your favourites and the magical benefits from each of these? Wildcrafted Australian ingredients are a feature in our range. I am always learning more and more about their therapeutic benefits and superior antioxidant profiles. These plants are special in that they are found growing in their natural habitat in arid parts of Australia. This provides them with a very strong antioxidant profile developed to protect themselves against the harsh environment and potent sun that they are growing in. This protective system is transferred across to our skin providing us with incredible skin protective and anti-ageing qualities. Two of my favourite Australian botanicals are the Snowflower Seed along with Desert Lime Extract. Snowflower Seed Extract is a great example of how potent native extracts are. The extract has been shown to have 50 times the antioxidant activity of Vitamin E and 100 times that of Vitamin C. This means it provides effective support for healthy collagen production and skin cell renewal and it also assists in brightening the skin. It has potent anti-inflammatory properties which makes it helpful in reducing skin redness and sensitivity. This extract features in a few of our products including our Snowflower Illuminating Face Oil and Sleeping Beauty Purifying Mousse. One of my other favourite native extracts is Desert Lime. This native is a thorny shrub or small tree wild harvested from bushland in arid regions of Queensland & South Australia. Flavonoid glycosides present in Desert Lime are effective in stimulating the production of collagen in the skin, reducing fine lines and wrinkles. Another benefit of flavonoid glycosides is their strong scavenging action on free radicals - they work to intensify the activity of vitamin C, thereby enhancing the antioxidant content of the botanical. 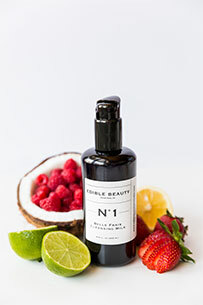 And lastly, what are the go-to Edible Beauty products that you use in your own beauty regimen? 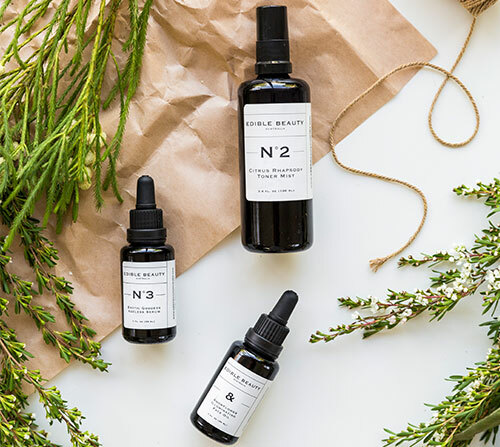 Three of the essentials in my regime include the No.1 Belle Frais Cleansing Milk, No.3 Exotic Goddess Ageless serum and Snowflower Illuminating Face Oil. I tend to suffer from redness on my cheeks and these three products work wonders very quickly at reducing the redness and inflammation. I have always struggled to find a cleansing milk which cleans the skin and prevents breakouts but which also keeps the skin hydrated and soft. One of my favourite ingredients in our Exotic Goddess Ageless Serum is hyaluronic acid. 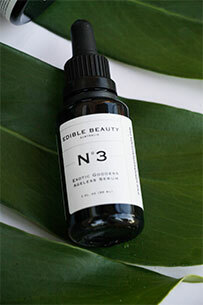 It combines so well with Kakadu plum and white tea in this serum to plump, protect and reduce inflammation. Lastly, our Snowflower Illuminating Face Oil keeps my redness down whilst also providing a beautiful sensual touch to what can sometimes feel like a mundane beauty routine! Blue lotus is what provides the luxurious fragrance in the oil. It has sedative and aphrodisiac qualities which raise the vibration of this oil! Keen to explore more from the Edible Beauty range? Follow this link.